Dr. Steven C. Cramer is a Professor of Neurology, Anatomy & Neurobiology, and Physical Medicine & Rehabilitation at the University of California, Irvine. He is also the Associate Director of the Institute for Clinical & Translational Science at UC Irvine, and co-PI of the NIH StrokeNet clinical trials network. 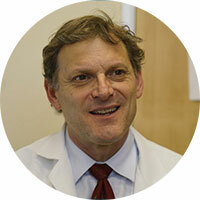 Dr. Cramer graduated with Highest Honors from University of California, Berkeley; received his medical degree from University of Southern California; did a residency in internal medicine at UCLA; and did a residency in neurology plus and a fellowship in cerebrovascular disease at Massachusetts General Hospital. He also earned a Masters Degree in Clinical Investigation from Harvard Medical School.